Provocative Greek director Yorgos Lanthimos makes his English language feature debut with The Lobster, a profoundly bizarre and strikingly original satire that’s equal parts pitch-black dark comedy and touching romantic drama. It’s a work steeped firmly in the absurdist and surrealist traditions that grows into something more gentle and empathetic (even whimsical at times) as the story progresses. If Luis Buñuel and Wes Anderson had the chance to collaborate with one another on a film, I’d like to think there’s a good chance it would have turned out something like this. In a dystopian future where singledom is effectively outlawed, individuals who have not found a lifelong partner are required to stay at a “hotel” where they have 45 days to find a match or else they are transformed into an animal of their choosing. After his wife of 12 years leaves him, David (Colin Farrell, at his schlubbiest) reluctantly checks in with his brother, who unsuccessfully navigated the constraints of the system and was subsequently turned into a dog. During their stay, David meets two other guests (John C. Reilly and Ben Whishaw) who seem just as hopelessly outmatched in their conquest for partnership. When a trial romantic relationship takes an unexpected turn for the worst, David flees to a wooded area where a group of “loners” reside and meets a woman (Rachel Weisz) who seems to be the perfect fit for him. Despite the rebellious nature of these outcasts, it turns out that their code of anti-romanticism is strictly enforced by the group’s leader (Léa Seydoux) and any public signs of affections are expressly forbidden and ruthlessly punished. Thrust in between two systems of conflicting ideologies, David must reconcile his burgeoning new romance among an increasingly hostile environment. The film’s brilliant premise, a devilishly clever take-down of western culture’s idolization of monogamy, is beautifully rendered throughout but has the most impact in the often hilarious first half of the story. It takes the subtle (and sometimes not-so-subtle) societal pressures of getting married and takes them to comically outlandish measures, creating an oppressive system where single people are ostracized and literally hunted for sport just because they haven’t settled down yet. The indoctrination scenes in the hotel, where the staff puts on skits that further solidify the notion that being alone presents a danger to society and to one’s health, have a rich deadpan humor to them that most comedies are too lazy to even attempt. These satirical elements have just the right amount of bite and fearless energy but the tender romance that blooms between Farrell and Weisz’s characters in the film’s second half has just as much power to it. While they can’t express themselves openly among the “loners” for fear of persecution, they have brief moments of respite when they travel into the city and are allowed to explore the longing that they have for one another, even if that just means holding hands while walking down the street. 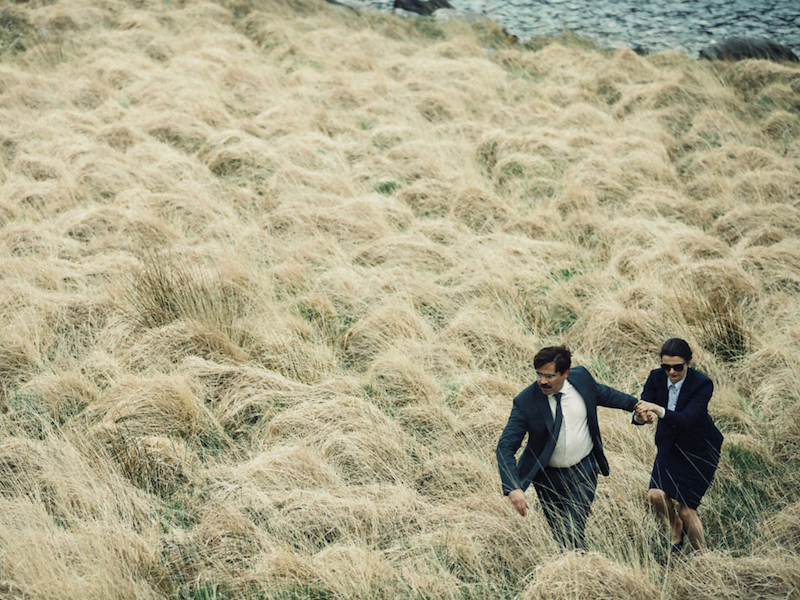 It’s these times that The Lobster finds just the right amount of heart to balance the cynical nature of its conceit and proves itself to be one of the most weirdly inspiring love stories since Eternal Sunshine of the Spotless Mind.